Massive thanks to all the people who came out to see us and looked after us on our wonderful tour of Germany. We met some great characters and made some memories. Touring with the Norwegian duo Indigorado was a blast! I’m excited to be heading out on a German tour with my friends the Norwegian duo Indigorado. This tour is a mixture of traditional venues alongside some more intimate house concerts, you can find the full details of when and where over on FACEBOOK . Big thanks to Sweden and Norway for an amazing tour with Last Box of Sparklers (Erik Nyberg) and Shaun Buswell , such a beautiful part of the world and full of good people. It was a privilege and a pleasure to play on Shaun and Erik’s beautiful songs and we worked up some nice vocal harmonies by the end of the tour. A bit of a different format this tour, being three singer-songwriters, we decided to back each other up on various instruments and mix together each other’s songs instead of just playing straight solo sets. A lot of fun! I also got to play and sing in some lovely venues, with other wonderful musicians joining in at various gigs along the way . Great to see live music is very much alive and kicking in Scandinavia. Check out the tour pics and more over on Facebook . So thanks again to everyone who came out to hear us play and we hope to be back later in the year. 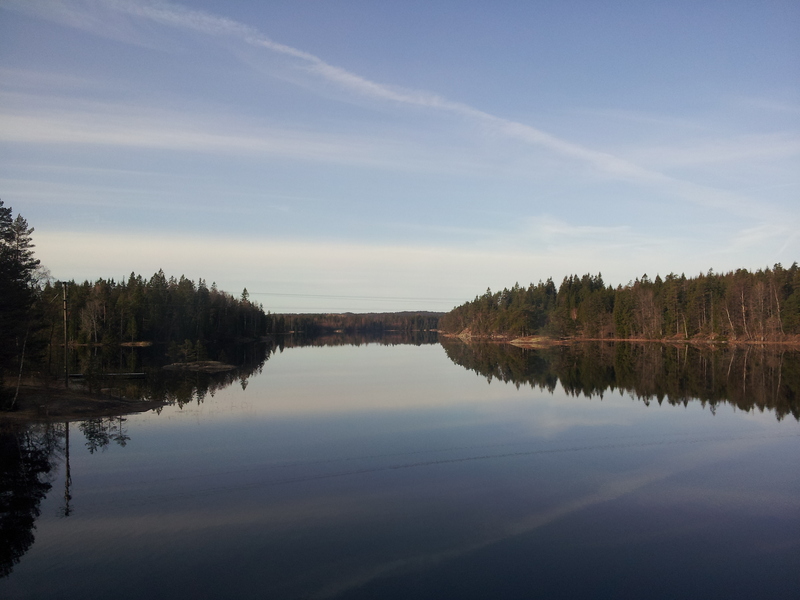 Just got back from the Scandinavian tour and had an amazing time. 2,748 miles in 12 days according to Google maps, yikes! Sweden and Norway are both beautiful, scenic countries with lovely people and I feel lucky to have been able to tour around playing my music there. There are too many events for me to process right now but huge thanks to Ola Borglin of Daylight Booking for getting the ball rolling and organising the tour for me. It also wouldn’t have been the same without the House of Trees, a great band who were kind enough to put up with me talking crap in the back of their car for most of the tour, and let me tag along to some of their gigs. Definitely go and check them out live if you get the chance, they won’t disappoint. Highlight gigs for me were the totally unplugged and magical Earth Hour gig at Fotografiska which I highly recommend visiting. It’s sort of like a Tate Modern for photos in Stockholm. I really liked the Peace and Love Café in Borlange as well, great vibe and some hilarious characters and good people. It was always a pleasure to hear the House Trees when we gigged together. 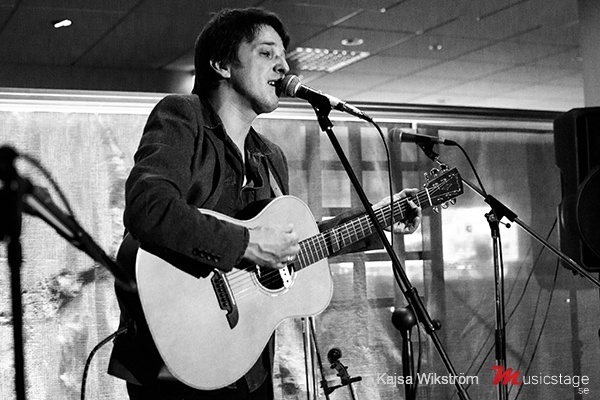 Acoustic Sunday at Pir6 in Kristiansand was a fantastic gig to end the tour with. A lovely if unnervingly quiet audience. There were some excellent acts that played the same night as well, damn that place has some good musicians! You can check out some tour pics over at www.facebook.com/conradvingoemusic. I met lots of new friends, great musicians and people in Scandinavia, too numerous to mention here. All of the audiences were fantastic, but this tour would have been very different without the genuine kindness of all the people I met. People who alongside coming to shows, looked after me, fed me and put me up in their homes sometimes without even knowing me. This is something I am eternally grateful for and I hope I can return the favour someday, perhaps I already have in my own way. Feeling truly blessed and humbled. Goodbye Scandinavia and thanks, it’s been a riot. Posted in Uncategorized and tagged as acoustic, Conrad Vingoe, folk, fotografiska, house of trees, Norway, Peace and Love Cafe, Pir6, singer/songwriter, Sweden, tour.